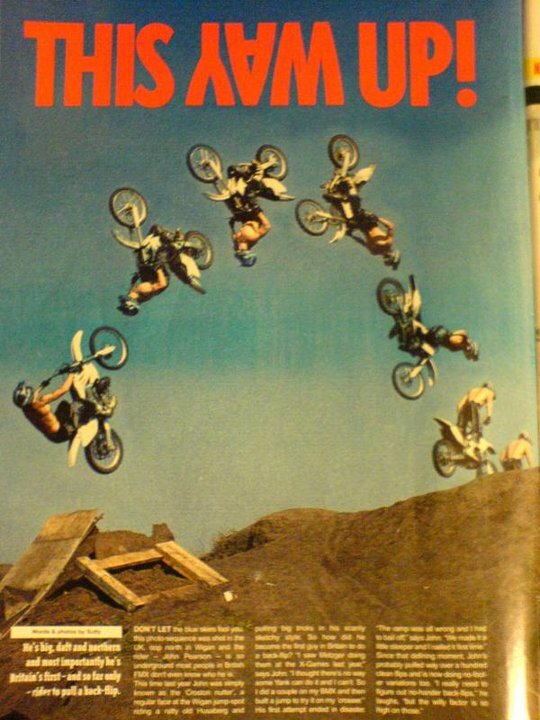 In 1998, Adam Owsley did a complete backflip into a pond on a KX250. Carey Hart was the first to attempt one to dirt at the 2000 Gravity Games, nearly riding away but suffering a crash after over-rotating his flip off the backside of a landing. 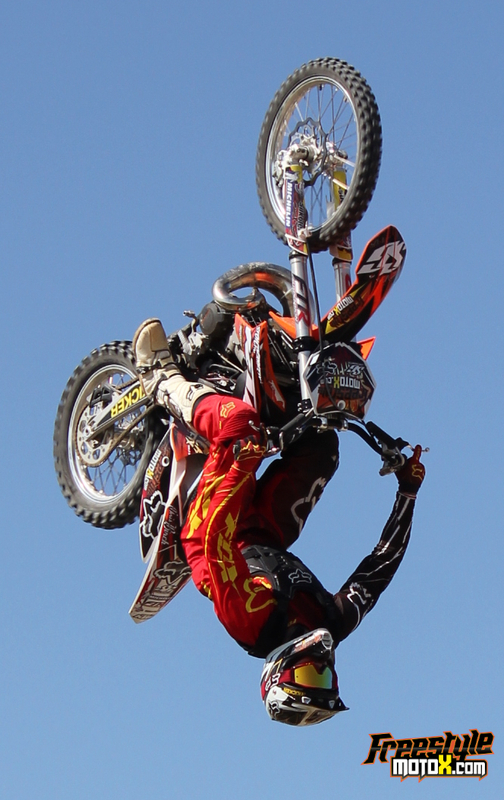 Pastrana also attempted a similar one off the same year at XGames after his run. In 2001, Carey attempted one again at the XGames best trick competition, and crashed badly when he came off his bike while beginning his rotation. In April 2002, Caleb Wyatt tried several off of a specially made dirt hill, and eventually rode away from an attempt. Only months later in the summer of 2002, It was 2005 before the first back flip was pulled by a UK rider , and that rider was John Pearson from Preston at local riding spot to John on a step up.At the Big Air Jam 2006 competition John achieved gold in the sick trick competition by flipping the big gaps ! In the UK there are only a few riders now and still performing the Back flip John being the first and one of those select few, Chris Birch another rider who has stepped up and now has the back flip and over the winter months been working on combination variations of the flip over 75ft ramp gap.